It was an ordinary morning December 2008. Children were playing and having fun. They were digging between the rocks to get some space for their childhood. 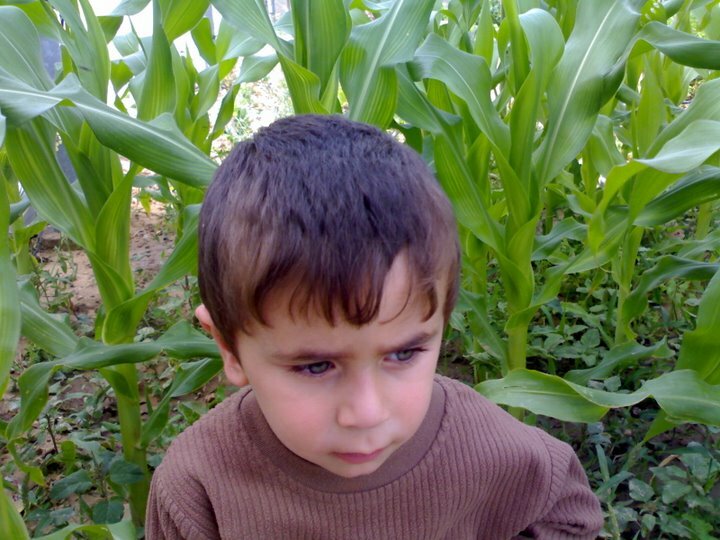 This is the story of Ahmad, a little boy without sin who was killed on that morning. Ahmad was known among his friends as lively, bustling boy. Ahmad and his family live in Al Zahra district in the middle of the Gaza Strip, exactly next to the building of the Civil Defense. On the morning of December 27th, Ahmad took his breakfast, put on his boots and went out to go playing in his nearby garden. “We are an extended family living in a house that comprises four floors. My family and I live in the second and my father in the first floor,” says Ahmad’s father. 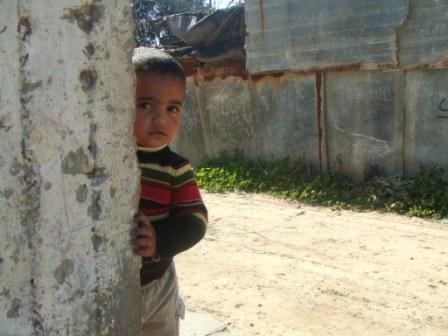 When he noticed that Ahmad and his sister Mariam were going to play in the garden of the house, the father tried to stop him as the family was waiting for Mohamed, the older brother to take an early lunch. But his attempt was in vain. “It was like an earthquake hitting our house and everything was shaking,” said the father. Doors and windows were broken, too. The Father tried to find out what had happened outside and searched for the source of the terrible noise he had heard. A cloud of smoke was covering the sun. “There was nothing else to do than to assure myself about the family as another explosion shook the nearby building. I tried to make sure that everyone was inside the house, and then I convinced myself to feel safe.” Suddenly Mariam cried out: “Daddy, daddy, Ahmad, Ahmad…” The little girl Mariam broke out in tears, terribly afraid about her brother. “Her shouts froze my body,” said the father. “The sight at the hospital was tremendously dreadful when I arrived. It was full of dozens of killed and wounded young men on the floors.” Ahmad was sent to the emergency department and although he still had some signs of life, after a while he passed away. At this moment, silence came over the father; there were no more words in him. Blood was everywhere and particularly the sight of young children who always are the symbol of innocence. “I wondered what Ahmad and the other children might have done to be killed by this Israeli aggression. They always dreamed of safety and to live like any other child in the world,” said the father. While the father was sitting on a chair and thinking about the situation, his mind was busy at the same time with thoughts about his family living near the targeted building of the Civil Defense. Only when he arrived home later, he saw the massive destruction at the building of the Civil Defense. As he reached the house he was devastated to find out that most of his family members had been wounded in the attack. So the father decided to go back to the hospital to get news about his family. He found out that also Mohamed, the oldest brother, who was coming home at the time of the attack, had been wounded in his head as well. 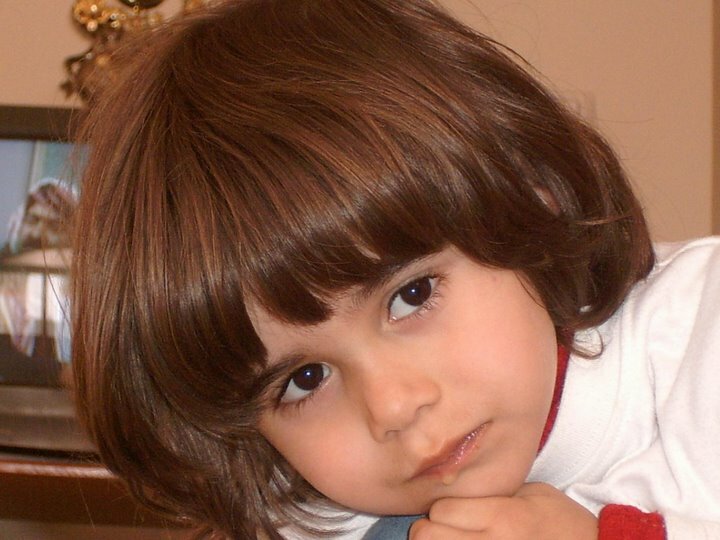 Ahmad was a lovely little five-year old boy. His smiles will never be forgotten. He was the youngest brother and he was so clever. Anyone who saw Ahmad immediately liked him. He was a very active boy. His favorite pastimes were playing football, using the computer and take care of the birds. He left an empty space in our house – he was the most loved boy in our family. 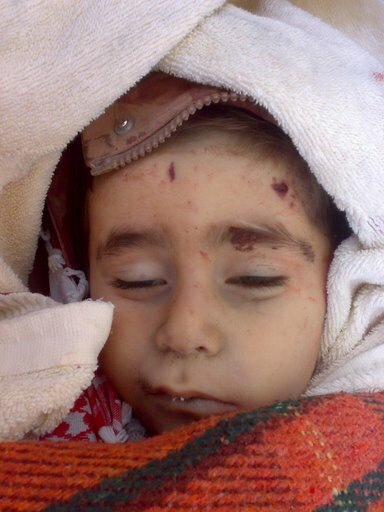 His sister Mariam will never forget Ahmad as she was with him in the last moments before he was killed. She said that she will stay waiting for her bother… Wait… and wait … and wait… – Waiting for the world to answer!!! What was the sin that those young kids committed to merit the way they died? What they needed was to grow up safely and in happiness. “We are not seeking to fight, to attack, to have weapons and all those means of death,” were words always repeated by Ahmad before he was killed. Marya before the bombing happened! Innocent Ahmad days before he was killed! I am Ayman Talal Quader. I’m a Palestinian born and raised in Gaza. I’m 22 years old. I have a bachelor degree in English Language and Education. I have worked in several different fields’ pre and post of my university studies for almost 4 years. I have worked as volunteer in civil societies where I practiced tasks to help people and educate children. I always try to bring the suffering of Palestinians to the whole world. 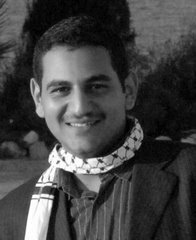 I am grateful to my friend Sameh A. Habeeb http://gazatoday.blogspot.com/ who always helps me. I do love Gaza and its people, its land, its breezes. I believe that justice and freedom should prevail one day.